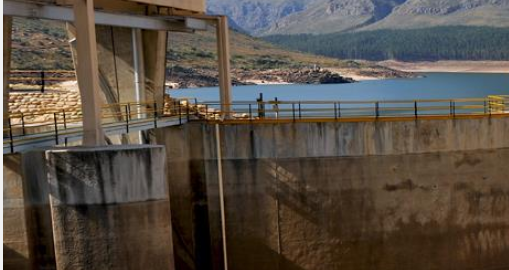 The good rainfall we have received over the past four weeks has increased our dams’ storage to the same levels they were at towards the end of winter of 2017. While this is good news, it is too soon to know what supply level is needed in order to safely navigate the summer of 2019. It is therefore critical that we continue to keep our consumption low. The City of Cape Town urges all of its residents to keep on saving even if it is raining. The National Government’s restrictions on abstractions from the dams remains in effect. ‘The innovation on water-saving consumption that we’ve seen from residents, businesses and this local government has been quite phenomenal. We ask them to keep up with this effort until the dams reach assured levels of supply. ‘The City’s advanced pressure management roll-out continues to have a positive effect on water usage and is now saving on average 70 million litres a day. ‘We will continue rolling out our advanced pressure management programme across the metro to ensure that consumption remains in the lowest ranges possible. An assessment of our overall water situation will be done at the end of the winter rainfall season to determine whether restrictions can be adjusted. At this stage, the new normal of enhanced water conservation remains business-as-usual, as we cannot predict what the rest of the winter season will bring,’ said the City’s Deputy Executive Mayor, Alderman Ian Neilson.